Some weeks ago I enjoyed a beauty treatment at La Prarie Oberpollinger Munich which was marvellous, (I’ll come back to that later) where I discovered the La Prarie Cellular Swiss Ice Crystal Series. 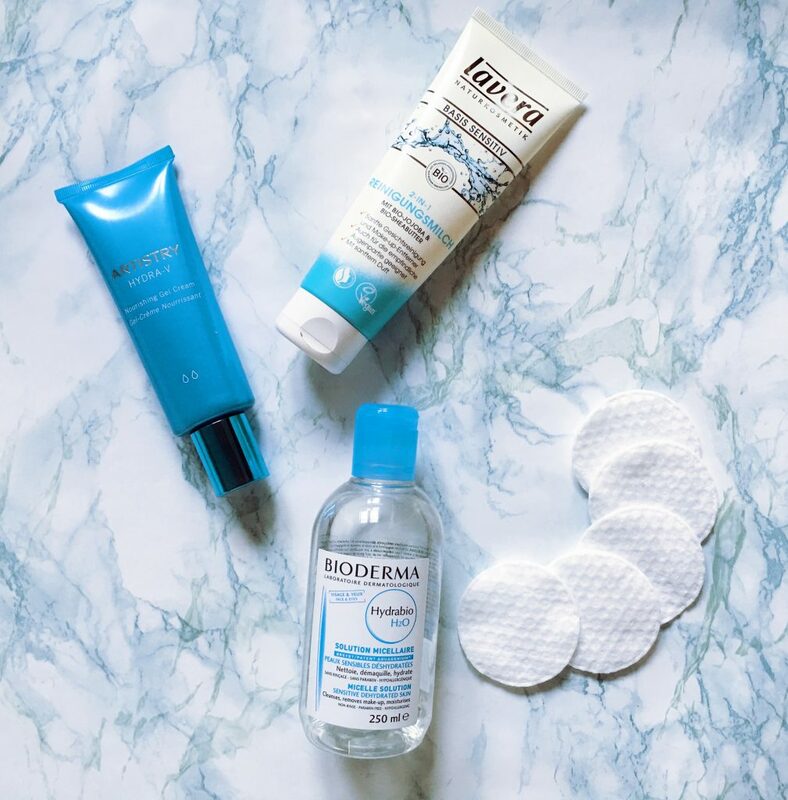 It was a total game changer for my skin. I felt so hydrated and good in my skin. Not only La Prarie found its way into my morning beauty routine. 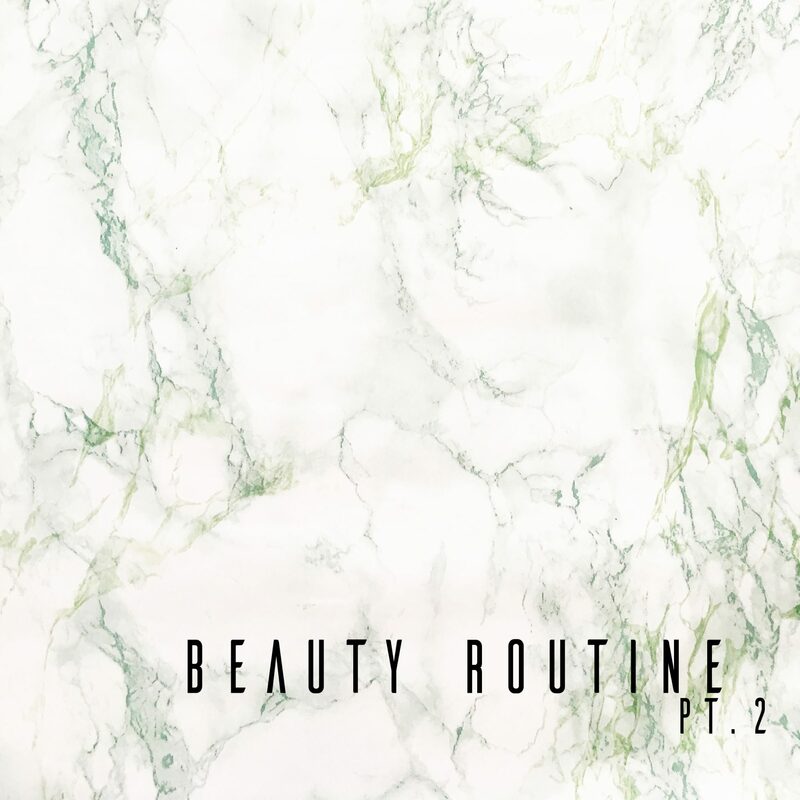 It’s without alcohol, parabens, and there is no need to wash your face after. I’m applying it with a cotton ball. Simple. Tipp: In Summer I like to store it in the fridge so it gives you a refreshing and cool start. Now I’m applying one of my new products of the La Prarie Cellular Swiss Ice Crystal Collection. 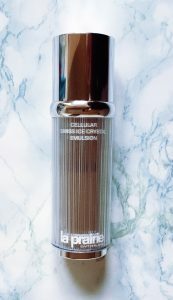 The Cellular Swiss Ice Crystal Emulsion has a very soft texture which reduces first signs of fine lines, dullness, dryness, makes you look fresh and most important it hydrates the skin deeply. I appreciate the light formula as I really don’t like too heavy skin products. On top, it comes in a pump dispenser. Tipp: Try buying dispensers! As I recently learned from a biochemist, products which come in pots will not keep their “good stuff” longer than 4 weeks once you’ve opened them. The oxygen decomposes the ingredients. In case your product isn’t available in dispenser-form store your skincare in the fridge. 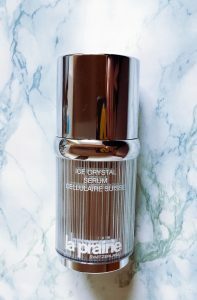 Next step: the La Prarie Cellular Swiss Crystal Serum. It has a little cooling effect. 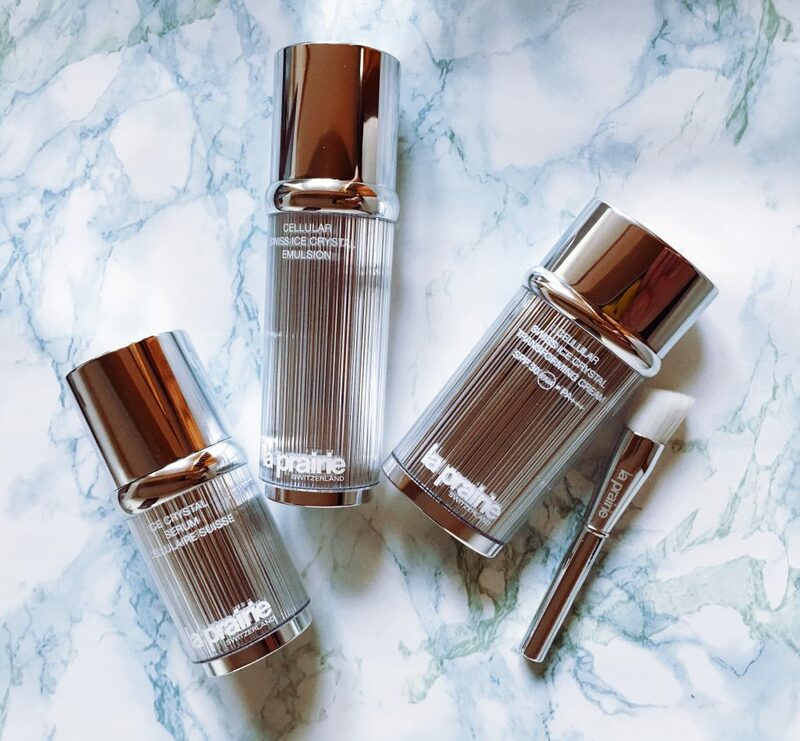 The formula is recapturing and maintaining the look of younger skin. It helps the skin to remove toxins and improves the delivery of nutrients. I don’t use the serum on a daily basis, just from time to time if I feel it. Maybe for Summer, I’ll only use the serum- I’ll give it a try and let you know. 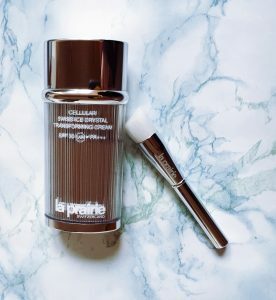 Last but not least The La Prarie Cellular Swiss Ice Crystal Transforming Creme. I discovered this gem by accident. After my treatment at La Prarie, I’ve got spoiled with a little fresh up. The ones who know me know the problems I have with make-up. I’ve tried a lot nothing worked. Till now I used the VICHY Idéalia Medium BB Creme which is not half bad especially in Summer it gives you a nice glow. Heading back to the La Prarie Cellular Swiss Ice Crystal Transforming Creme. The first look in the mirror was breathtaking. I never had such a flawless and harmonious skin. It’s moisturizing and it balanced my rose skin tone perfectly. The combination of colour and sunscreen, it has SPF 30, makes it a perfect everyday companion. I don’t know how I could ever have lived without it. You can choose from 4 different shades. I’m using No. 20 (reduces redness). I like the fact that you need very less product and have a high impact. Blend in – ready. A complexion brush is included. Tipp: Clean your brushes after every use! Especially when it comes up to make up brushes. Who wants to have a bacteria polluted brush in the face? – Right nobody. After a busy day, I prefer to remove my makeup asap. 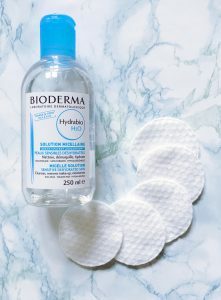 If I’m extremely lazy I use makeup remover pads. But I’ll try not to use them too often. For a deeper cleanse I’m using the Lavera 2-in-1 cleansing lotion. Again a product which combines 2 things in one: cleanse and skin care. I’m not a big fan of an hourly procedure, especially not after a long day, which makes also this product perfect for me. The containing bio-oils leave my skin nourished and soft. The Lavera face wash is a natural cosmetic product which is vegan and free from every cosmetical “baddie”. The smell is reluctant but nice and it is absolutely a bargain! 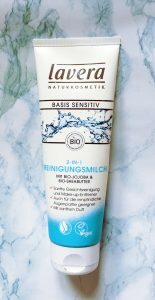 Tipp: Of course, you can use the Bioderma Hydrabio as well as the Lavera 2-in1 cleansing lotion in your morning or evening routine. 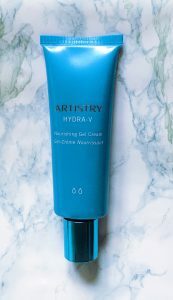 For my skins bedtime treat, I’m using the Artistry Hydra-V Nourishing Gel Cream by Amway. It has the perfect light jelly formula. Normally, I’m not a big fan of night creams mostly they are too heavy and don’t absorb fast enough for my taste. I discovered this brand at a press event and I was surprised how good it worked together with my skin. I would absolutely recommend it to everybody who has a problem with dehydrated skin or likes lightweight products as I do. The smell is fresh and the texture is light and soft. Tipp: It’s the perfect companion for the Summer. It delivers the freshness and hydration u need after a long day at the beach.